Vaporesso EUC Traditional coils are designed specifically to give vapers the best of both worlds, delivering superb flavour at a far more cost effective price. The revolutionary quick and easy replacement system is a welcome and refreshing change to the Vaping scene because now you will only need to replace the core that encases the coil and cotton, which is at the heart of the atomizer. 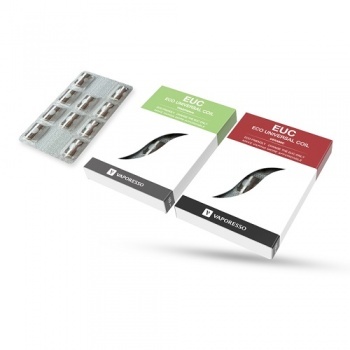 These coils are available in Stainless Steel 316L and Kanthal and although small in size by comparison, we can promise you, you will be amazed by the performance they deliver. Excellent product fast delivery and price.